Julie Walters is an enthusiastic believer in the human-animal bond. “I am happiest with at least four rescued dogs sleeping on my couch.” In addition to work with the ASPCA, she is a supporter of the PAWS Sanctuary in California and the South Florida SPCA, which focuses on domestic horse rescue and rehabilitation. Julie has also been allied for many years with the Natural Resources Defense Council, the Everglades Foundation and 350.0rg to promote environmental protection and restoration of the natural world. She and her husband, Sam Rose, have established an annual prize for environmental activism at Dickinson College to expand public awareness of the pressing need to protect the world we inhabit and all of the creatures that share this world. Dr. Earl Strimple is a pioneer in the field of Animal Assisted Therapy. 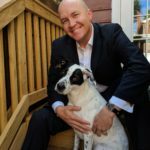 During his three decades of successful veterinary practice in Washington, D.C., he founded People Animals Love (PAL), an animal therapy foundation that brings the healing power of the human-animal bond to people at nursing homes, mental health facilities, hospitals, libraries and schools. In addition, PAL offers year-round, after-school and summer enrichment to lower-income children living in Southeast Washington, D.C.
Larry McBean is the director of the Medical Technology Team at Peduzzi Associates, Ltd., where he utilizes a broad background in military medical operations, Federal logistics and procurement, medical device integration and legislative affairs on behalf of the firm’s clients. His experience with medical research and development, as well as Combat Casualty Care, spanned nearly three decades of Federal Government service. Larry completed military service as a Combat/Flight Medic/Cardiac Tech in 1998 with the U.S. Army Medical Department and holds a B.S. in Health Care Administration and an M.S. in Health Care Management. Larry is an active member of the American College of Healthcare Executives (ACHE) and sits on the National Defense Industrial Association’s (NDIA) Homeland Security Executive Board. He is also a recipient of the Stockholm Challenge Medical award and Order of Military Medical Merit, Army Medical Department. He is a Lifetime member of the Dustoff Association (Army MEDEVAC association). Steve Braesch brings more than 40 years of successful construction and real estate development experience to Warrior Canine Connection and the new Healing Quarters development project. During the past 30 years, Steve has overseen project management, design, and construction with the Washington, D.C.-based commercial real estate development firm Greenebaum & Rose Associates. His portfolio includes major projects for CNN, the Department of Education, and the Federal Energy Regulatory Commission. Prior to that, he spent a decade with the Kiewit Companies of Omaha, Nebraska, where he worked on constructing underground highway, hydroelectric power, and environmental projects, including Colorado’s Eisenhower Tunnel. Tora Fisher serves on the Board of Trustees for the Fisher House Foundation – a home away from home for the families of wounded Warriors. She helped dedicate the first international Fisher House at the age of 11 with her late father, M. Anthony Fisher. An emerging singer-songwriter, Ms. Fisher was inspired to write “Man of Steel” – a song that donates 100 percent of its proceeds to the Fisher House Foundation. Tora is also an animal lover and has supported the World Wildlife Fund and ASPCA. Rosemarie Kraus is the breeder caretaker of WCC’s Megan from the Welcome Home litter. Rosemarie was born and raised in Chicago, attended Marquette University and received her degree in marketing from Loyola University. She, with her husband and partners, founded Mission BBQ. They have three grown children and live in Ellicott City, Maryland. Kyle Richards currently works as a manager at Kearney & Company, where he provides workforce development and strategic initiative support to the USAF and to the Department of Homeland Security. He is also the chairperson for Kearney & Company’s Community Service Committee, having led more than 50 unique charitable or service-based initiatives over the past two years, including endeavors for Warrior Canine Connection, the American Red Cross, the American Cancer Society, Special Olympics, New Hope Housing, Food for the Poor, Northern Virginia Family Service, The Fishing School, Carpenter’s Shelter, and many more. Previously, while pursuing his doctorate in Organizational Communication from the University of Kansas, he worked at The University of Kansas Medical Center on the Kansas Telehospice Project, a Robert Wood Johnson Foundation grant-based study examining the efficacy of telemetry-based medical service delivery to the indigent and the rural poor. 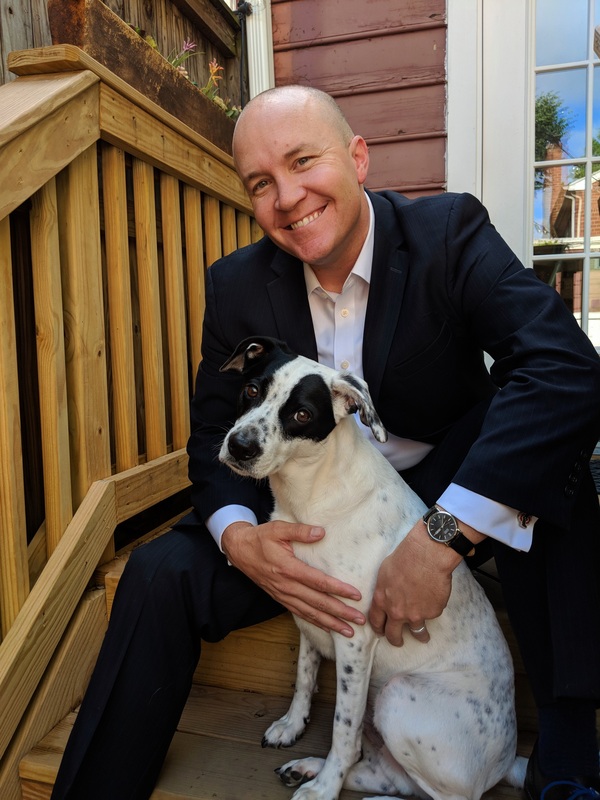 Joshua Stueve is the Director of Communications for the U.S. Attorney’s Office for the Eastern District of Virginia, which investigates and prosecutes cases of national and international significance. Prior to joining the EDVA, Stueve served as the Public Affairs Officer for the National Intrepid Center of Excellence at Walter Reed National Military Medical Center. Stueve served in the U.S. Marine Corps from 1998-2007, spending five years as an infantryman and four years in public affairs. He is a proud graduate of Marine Corps Recruit Depot Parris Island, Camp Lejeune’s School of Infantry, and the Defense School of Information. After earning an honorable discharge from the Marine Corps in 2007, he attended The Ohio State University in Columbus and graduated with a Bachelor of Science degree. He is the proud father of three daughters and lives in Old Town Alexandria with his wife, Sunny, and their spoiled rotten dog, Amos. Mike Subin serves as the Montgomery County, Maryland County Executive’s representative on the Commission on Veterans Affairs and Commission on Juvenile Justice. A former five-term County Councilmember, Mr. Subin is a retired Captain in the Naval Reserve where he commanded three separate units and was the executive officer of two others. He is also an adjunct professor who has taught government law, political science, and criminal justice. Mr. Subin has a BA in International Affairs, a Master’s degree in Public Administration, and a Master of Arts in Legislative Affairs all from The George Washington University; and a JD from American University’s Washington College of Law. He is a member of the Montgomery County and Maryland Bar Associations. Rick Yount has served in the field of social services for 30 years. He has involved animal-assisted therapy in his practice for the past 22 of those years. Rick holds a Bachelor of Arts from West Virginia University and a Master of Science in Assistance Dog Education. 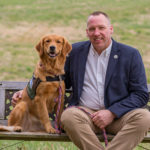 He combined his social work knowledge and experience with his service dog training background to develop a novel intervention to help Service Members with post-traumatic stress disorder (PTSD). Rick pioneered the first therapeutic service dog training program at the Palo Alto, California Veterans Hospital in 2008. Rick’s new program concept, involving Veterans with PTSD in the training of mobility service dogs for fellow Veterans, has yielded very positive results. He has presented the program concept at forums including the VA National Mental Health Conference and the International Society of Traumatic Stress Studies.